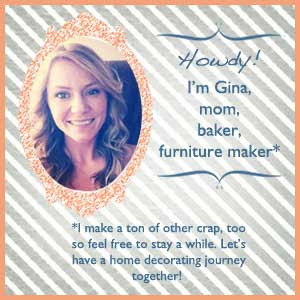 Raise your hand if upholstering freaks you out!!! Who would've ever thought that fabric and staples would be scarier than circular saws and 2x4s? And then if you have to use a sewing machine??!! No frickin' way!!! But sometimes you just HAVE to upholster. Like when you build a slipper chair for the sake of building a slipper chair (click here for plans), and then you don't document the upholstering process, so you build a toddler slipper chair. 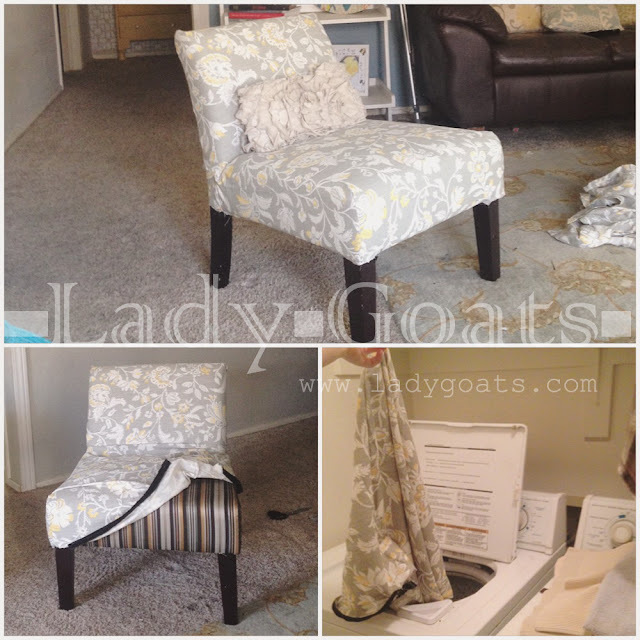 The toddler slipper chair (click here for more on that or click here for plans) was built solely to document the upholstering process, but then I had to reupholster my Target slipper chairs (thanks to cats & kids - click here for more info). 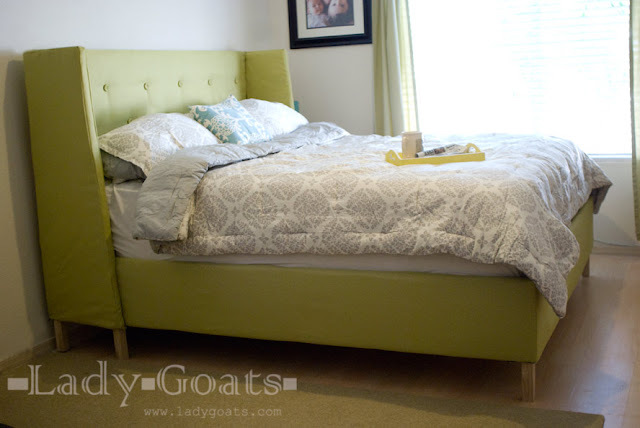 And of course, if you want an upholstered bed... you have to upholster it! Then if you decide to build an upholstered swoop chair (I've got some more info on this for a future post, if you're interested!)... it really seems like it never ends. Alas, cats and kids have struck again, so my already-reupholstered-Target-slipper chairs were in dire need of some more reupholstering. This time I had some criteria that I wanted the outcome to meet. First, I wanted these to be slipcovers so that I could remove them to launder them (and if we're going away overnight, so the cats don't decide that they're scratching posts!). 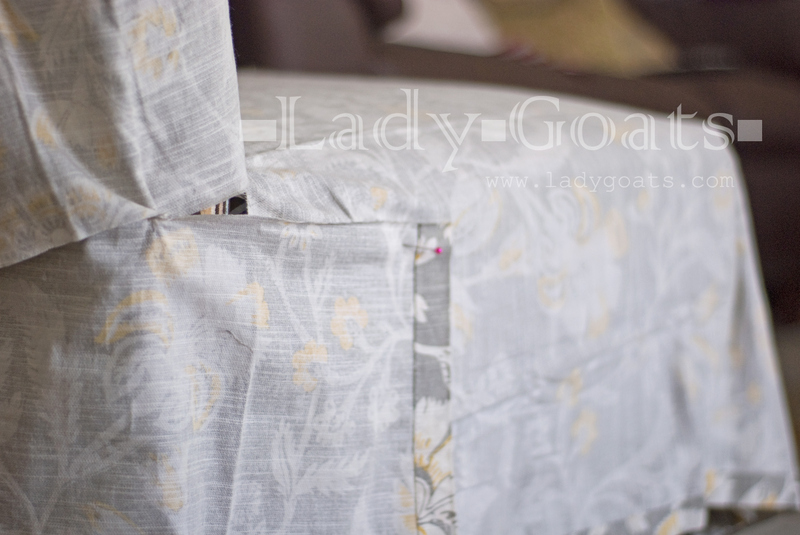 Secondly, the slipcovers had to fit snugly, because I don't like loose-fitting slipcovers. Finally, they had to be done without a pattern, because I have issues transferring patterns onto paper and then onto fabric, and THEN sewing them. And, as is the case of nearly all of my upholstering projects, let's cue in some clearance curtains from Target. The first thing most people do is wash their fabric... but I didn't do that. You probably should. I draped the fabric over the chair, making sure that there was enough on each side of the chair and the front and back for the slipcover. 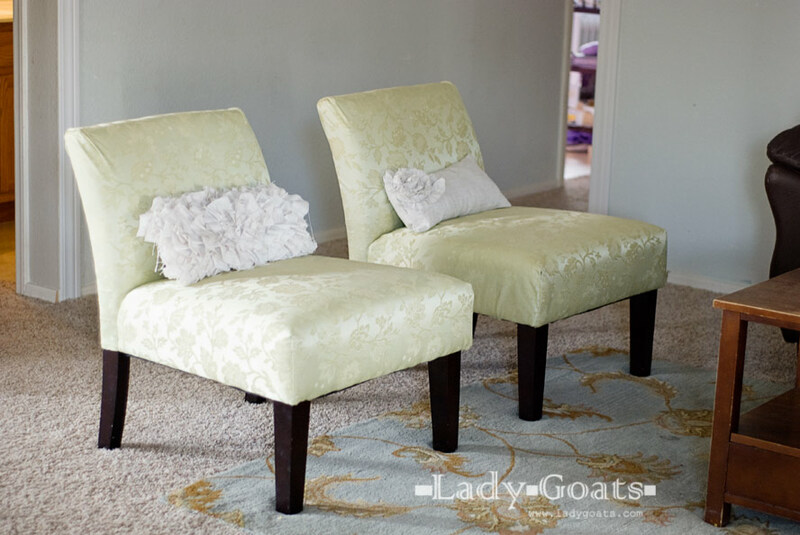 An 84" panel will cover an Avington slipper chair from Target. 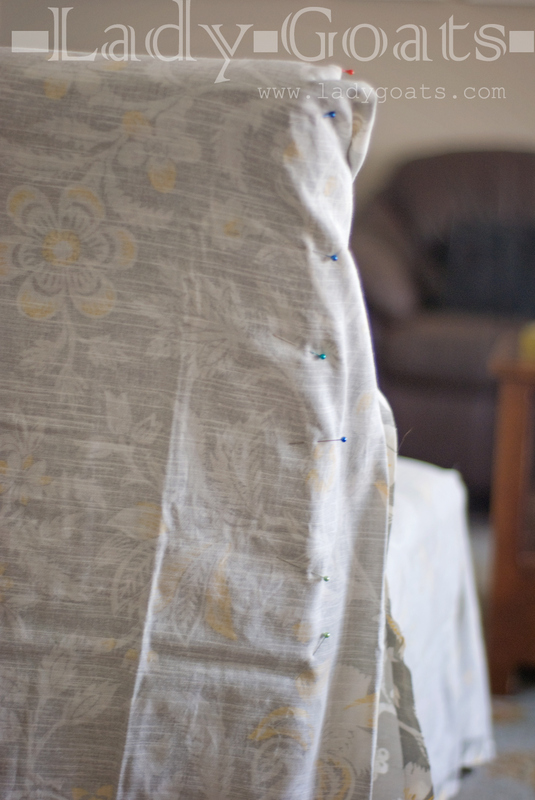 Then I pinned and sewed the front corners (is this looking familiar? This is how I started both of my previous slipper chair upholstering tutorials!). When the front corners are sewn, it's easy to pull the fabric to the back of the chair nice and taut. Then I smoothed it back the seat and down the sides and pinned it in place. From my experience, it's easier to work on one side of the chair at a time. The pins should be where the seat connects to the back of the chair. This is important to do, because the scariest part is coming up next. You have to cut the fabric. I cut the fabric to almost the top of the seat, but after having done this four times (two sides of two chairs) I can say that it can either reach the seat or be below the seat.. Precision isn't required. 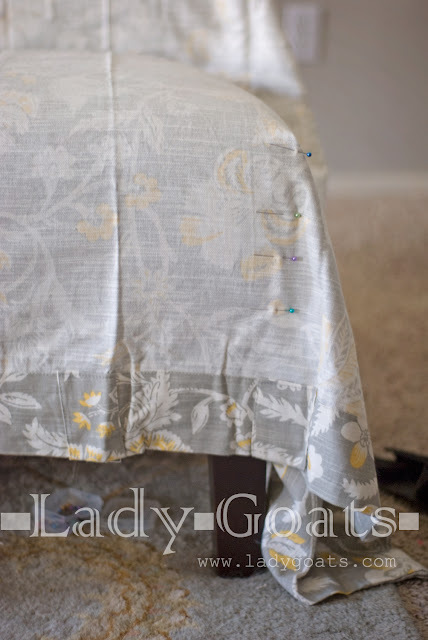 Give yourself about 1/4" past the part where the seat and the back meet for seam allowance when you sew. 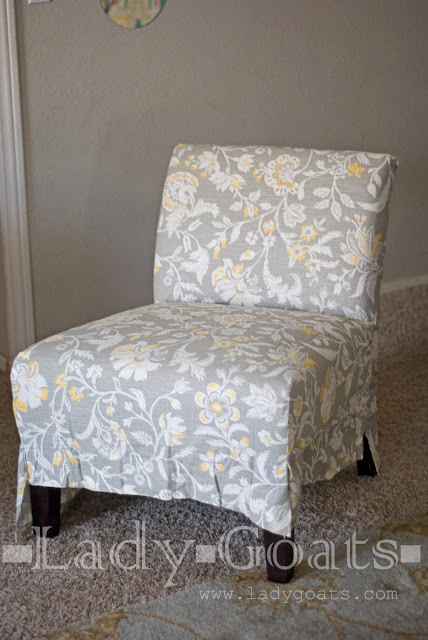 After you've gone past the point of no return, drape the fabric up the top of the chair and pull taut back the sides (tuck the "bunched" fabric into the seam of the chair if there is any. That's where it'll go when you're finished with the slipcover, anyway). I liked pinning it in place so that I didn't have to worry about the fabric shifting as I pulled and tightened everything. 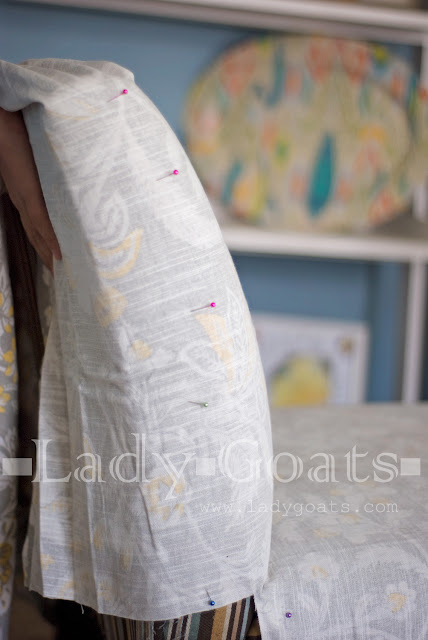 Now, the fabric draping over the top and the fabric that you pulled toward the back need to be pinned together so that you have a seam that goes from the top, down the back of the chair. 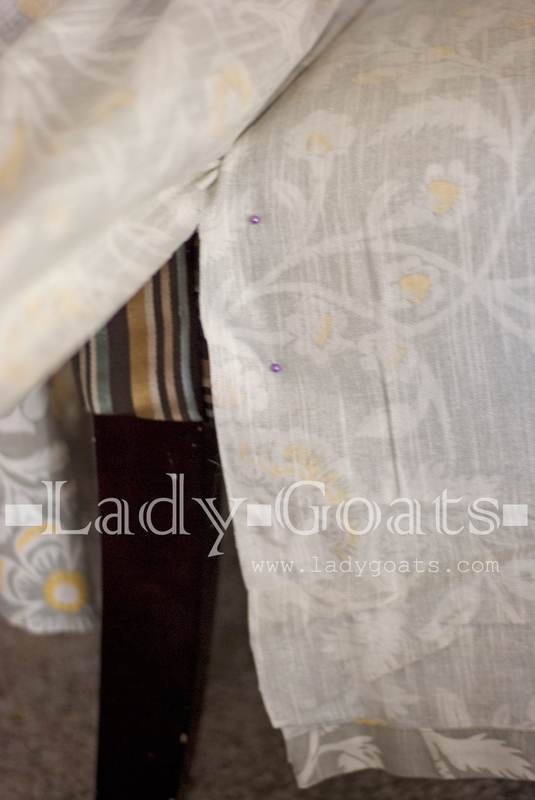 The fabric may bunch a tad at the top of this seam, but it will look fine after it's sewn and turned inside out. Sew along the pins down the back. When you reach the end of the shorter piece of fabric, you'll realize that there's plenty of fabric remaining on the back. I pinned the middle of the back to the back of the chair, pulled the fabric on the side I was working on, and cut a slit about where the shorter piece of fabric ended (hopefully this picture helps clarify what I'm trying to say). What you're going to do is use this fabric to "fill" in the square you made after making your first cut. 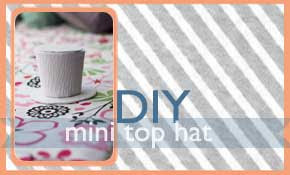 Pin it to the top of the back and to the side and sew it. This picture's from the other side of the chair, so don't worry if everything seems backwards. Here's a picture of it sewn and the excess fabric trimmed (I trimmed the excess at the front of the chair at this point, too) to show what it's supposed to look like. If you do what I did and leave an accidental hole where those two seams meet, it's easily fixed when you reinforce the seams (or you could go back and do it before moving on.. 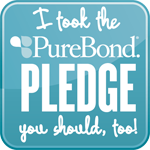 I didn't). And that's really all it is! Just do the same thing to the other side, making sure you pull everything taut as you pin/sew! 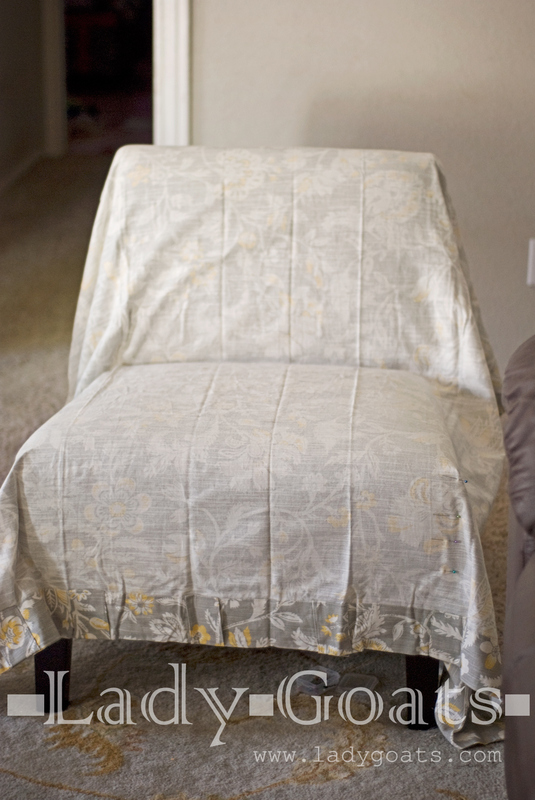 After that's all finished and all excess fabric is trimmed, you can turn the slipcover inside out and try it on the chair. 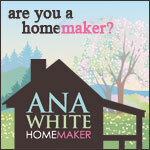 If there are any adjustments to be made, now's the time to do it..! Now it's time to think about the hem. 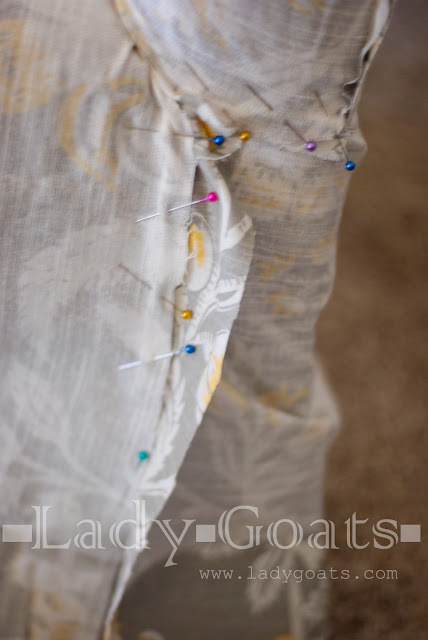 Go back and reinforce all of the seams and sew a hem (reinforcing it, as well!). 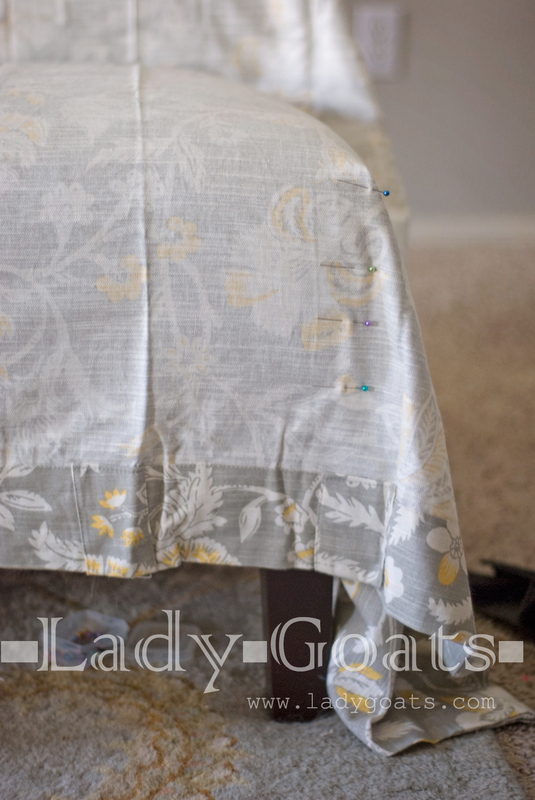 You can create a ruffle hem (just don't ask me how! 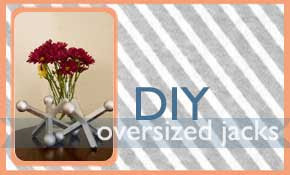 ), a straight hem, or steal the velcro off of the removable bottom cover-thingy and sew that onto the bottom of your slipcover so you can velcro it in place and have a nice, well-fitting slipcover. I used velcro, but even after doing two chairs, never really got it right. 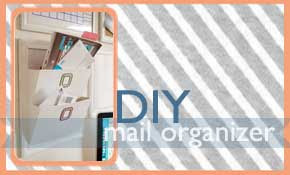 My suggestion is to loosely put the velcro in place, pull the fabric over it and pin it. Then it should line up perfectly. 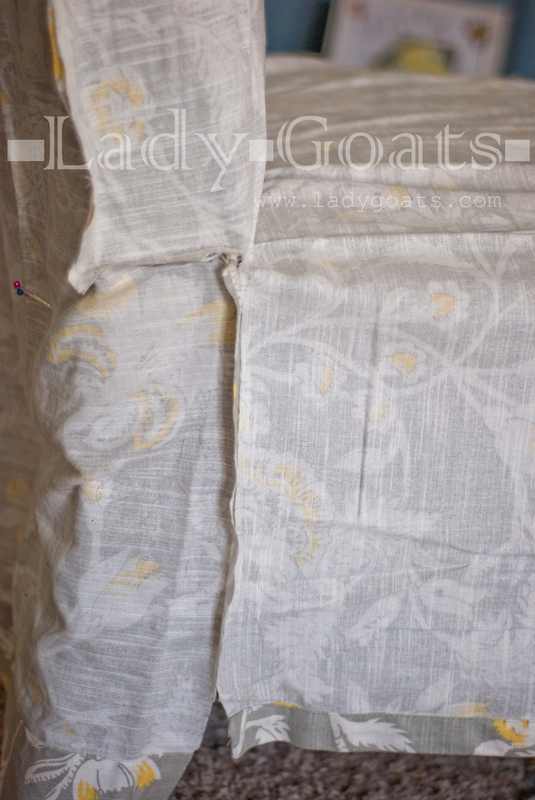 Just make sure that you follow the care instructions on the fabric (or curtain packaging, if you used one!). Now the only thing to do is to see how long this one lasts. Wow, this is super cool! 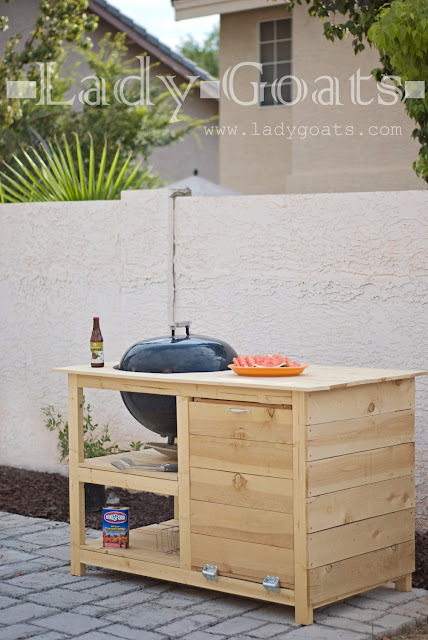 I think I am catching the vision, and seeing that adorable chair reminds me that I need to get on it!! Love your new slip covers and you inspire me girl! Seriously! Ha! You covered the exact chairs I want to cover(same pattern and all). Your directions are great- I'll give it a go. lmao I have these chairs too.. they were hand me downs from a dear friend that didn't have space for them.. I love the shape, but the fabric is not my style at all. 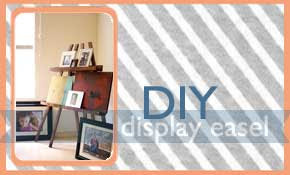 So glad to have found this DIY. 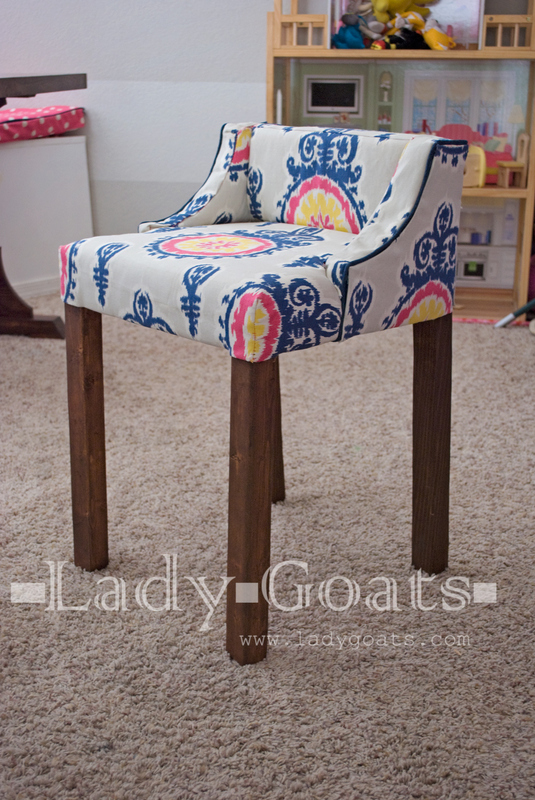 Would you consider making some slipcovers to sell? How have the new covers stood up to your cats? I have cats also and need to make a cover for a chair - what type of fabric would you say those curtains are? Our cats' claws seem to catch everything, but I'm looking for suggestions on fabrics that hold up best. 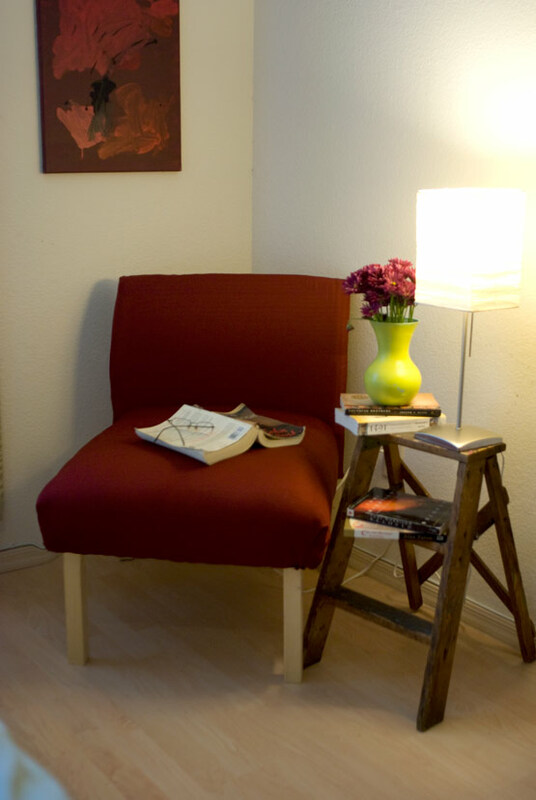 This chair can be reclined up to 45 degrees very easily at the touch of a switch. Also it can be stopped in any position between zero and 45 degrees. 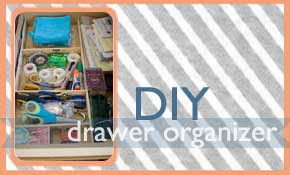 This is good if you have a sewing machine and know how to sew. But when you don't....sigh. anyone know how to slip cover or recover a slipper chair without any sewing involved? Help! I’d like to know this too! 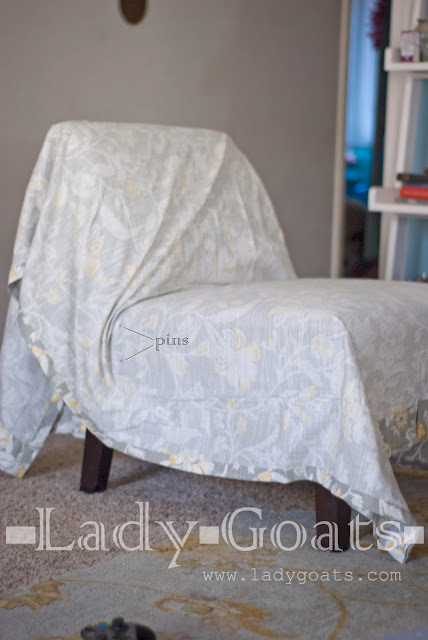 I’d like to cover my two slipper chairs before Christmas, but I have no way of seeing The fabric. I’d love to create slip covers, or purchased two. 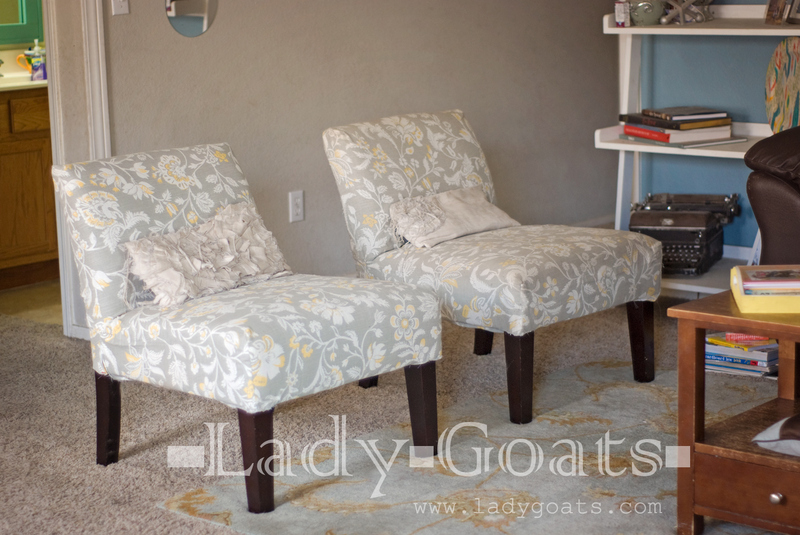 In the article I linked to a post where I upholstered my slipper chairs without sewing. 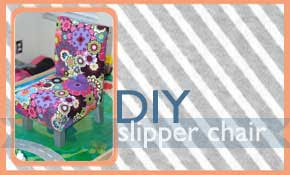 I showed how in the toddler slipper chairs (click the link above) and used the exact same method to recover my regular slipper chairs. Twice. Hope this helps! 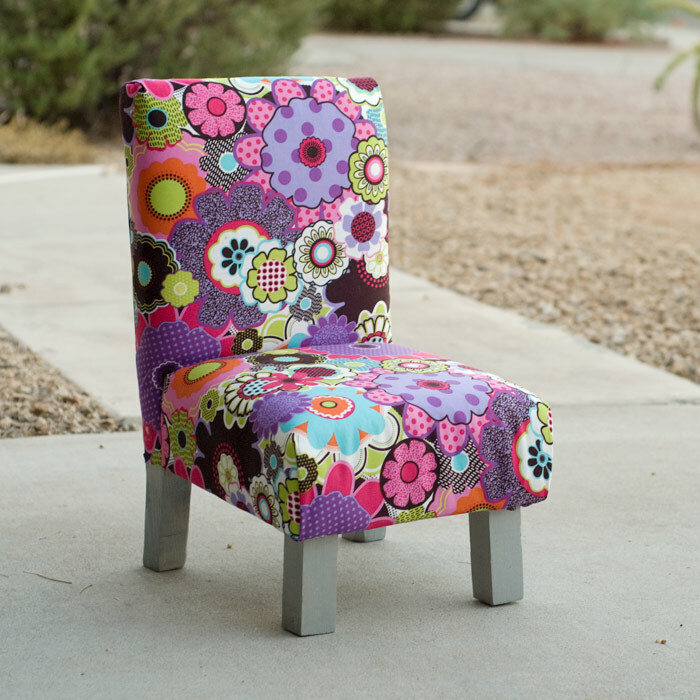 OMG Saw this fabric on your page and said perfect fabric scrolled down & I have the same chairs! Wish I could sew! !